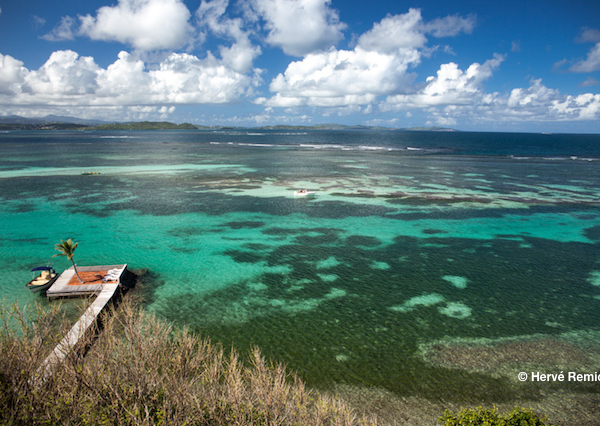 We recommend must-do activities if you go to Martinique. 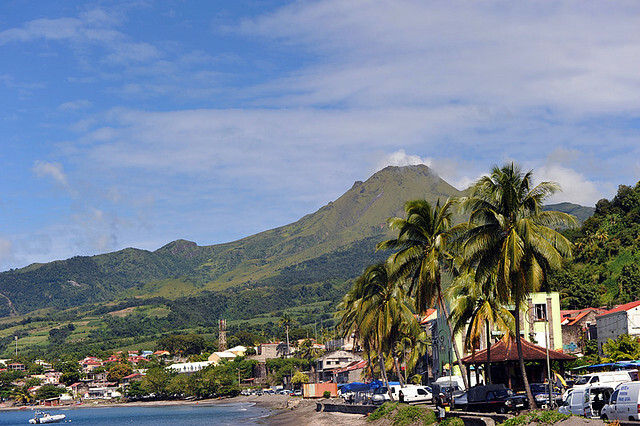 Martinique is a beautiful island, full of options for the discerning traveler. Sun, sea and sand abound. 1/ A trip to the Fonds Blancs is a must for anyone looking for Martinique activities. They are coral sandbanks which trap seawater between them, resulting in what is effectively a seawater swimming pool. The Fonds Blancs are also popular with locals, which is always a good sign! For easy access, consider staying at the luxurious Villa Isabelle, which can host up to 18 guests and has its own swimming pool. 2/ When you’ve had your fill of swimming in natural seawater pools, take a more somber trip to the Anse Cafard slave memorial. 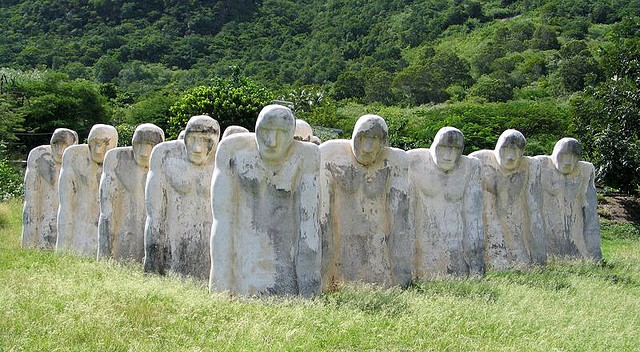 This is a collection of 20 stone figures, placed on a hill overlooking the sea. They represent a shipwreck from 1830 when a slave ship crashed, killing many of the sailors and more than 40 of the slaves, who were chained inside the ship and unable to escape. Perhaps most tragically, slavery was actually illegal by this time, but some slavers continued illicitly. 3/ St Pierre was destroyed by a volcanic eruption in 1902, ending its reign as perhaps the most important city in Martinique. More than 30,000 people were killed, including all but two people in St Pierre. Visitors can explore the remains and look around a museum dedicated to the tragic event. If a trip to St Pierre is a bit sad, visit Balata Gardens. It’s a private garden of tropical plants located just outside the capital, Fort-de-France. Visitors are allowed in for a fee. 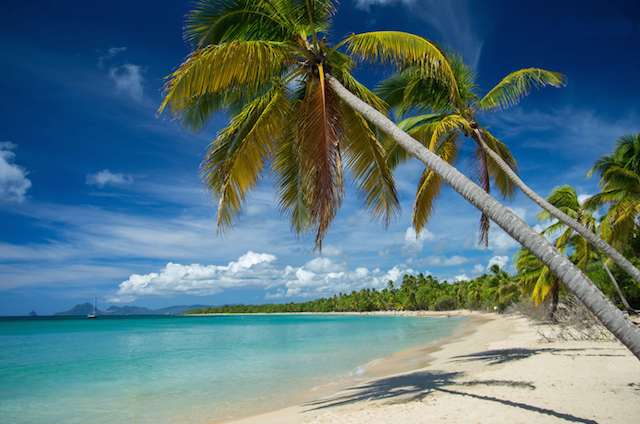 4/ The Grande Anse des Salines beach is everyone’s idea of a perfect beach. White sands, blue water, palm trees, and plenty of space to spread out or explore. 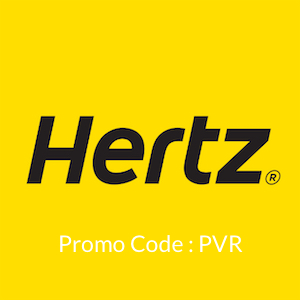 Get there early at the weekend to be sure of parking! For those who prefer to be active at the beach, try kitesurfing. Pointe Faula is very well set up for the sport. The water is warm and you can have kitesurfing lessons, rent gear, eat and shower there.